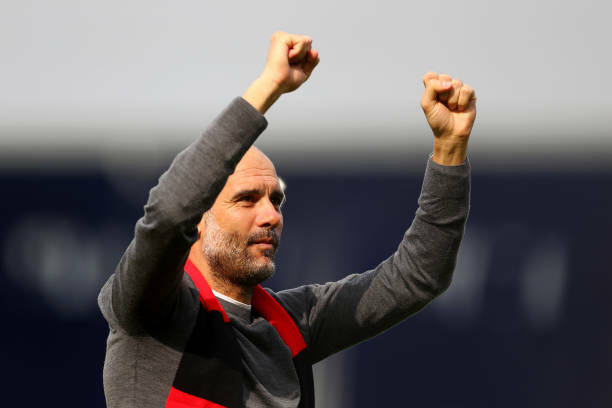 City boss Guardiola hailed his players’ mental strength, tipping them to “go like a machine” in the chase for an unprecedented clean sweep of Premier League, Champions League, FA Cup and Carabao Cup this term. 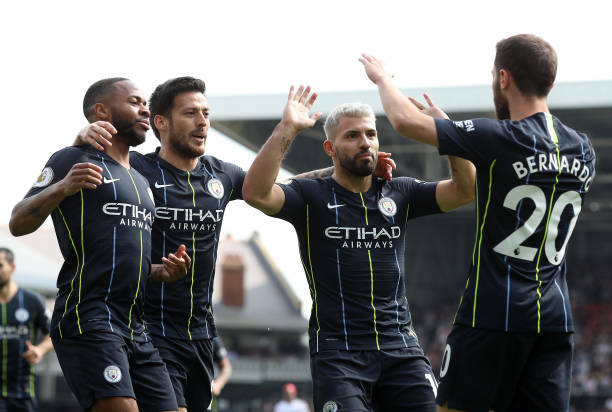 His side coasted past hapless Fulham 2-0 at Craven Cottage on Saturday, with Bernardo Silva and Sergio Aguero on target and Guardiola predicting only seven wins from their remaining seven matches will allow them to retain the league title. City will face Tottenham in the Champions League quarter-finals and Brighton in the FA Cup’s last four, with Guardiola relishing the clogged schedule and the pressure. “So that’s why sometimes to play with that pressure is nice, it’s necessary to get the best out of ourselves. “There’s no complaints about our mentality, what happened last season and this season again. “The players are not stupid, about the fact we’re trying something so difficult to achieve. Kevin De Bruyne’s return to fitness on Saturday handed Guardiola another boost as City inch closer to a completely clean bill of health. 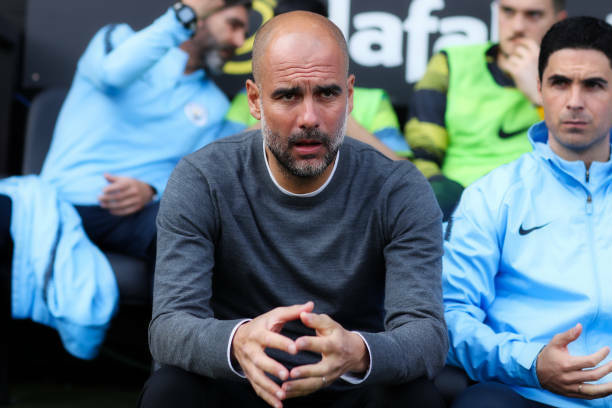 Fernandinho was back on the bench at Fulham, and Guardiola even admitted young star Phil Foden could feature at some stage against Cardiff on Wednesday. “It’s really important, but he is still a little bit far away from his best condition,” said Guardiola, of Fernandinho. “We know how well (Ilkay) Gundogan has played in his absence. “But we need Kevin, we need of course people like Vincent (Kompany), Phil (Foden), so the next game we’re going to make a few changes.